The gelatin in animal horn makes it a pliable material to cut and mold when it is softened by heat. Craftsmen could collect parings and scrapings to soften and press into other utensils. 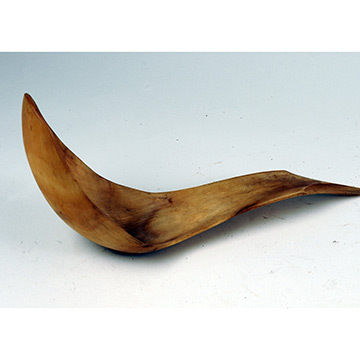 The thin, nearly translucent sheep horn of this scoop allowed the carver to shape a delicate, tapered handle.